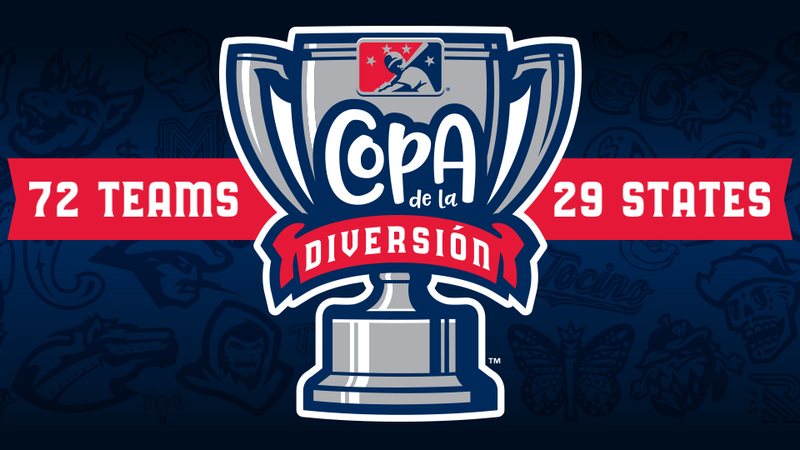 Marauders Announce Participation in "Copa de la Diversión"
Bradenton, Fla. - The Bradenton Marauders will be one of 72 team participating in the Minor League Baseball™ (MiLB™) "Copa de la Diversión," or "Fun Cup," a season-long event series in 2019. "Copa de la Diversión" is the cornerstone of MiLB's U.S. Hispanic/Latino fan engagement initiative. The program established an innovative new platform authentically connecting MiLB teams with their diverse communities, embracing the culture and values that resonate most with Hispanics/Latinos nationwide. 2018 was the inaugural season of "Copa de la Diversión," with 33 teams participating by dedicating a total of 167 games as "Copa de la Diversión"-designated events. Teams adapt culturally-relevant on-field personas and integrate local Hispanic flavor into their gameday experiences. The 2018 participants reported a 12.6 percent attendance increase compared to similar game dates in 2017.